Pressure washing is becoming one of the most preferred methods of cleaning variety of surfaces like sidewalks and patios. One of the excellent ways of maintaining or restoring the look of the home, pressure washing helps in boosting the curb appeal of the property. You can remove all types of dirt and grime from concrete sidewalks, building, parking lot and stained deck by using pressure washing. However, pressure washing your place on your own may be challenging, daunting, it takes a lot of physical labor. It is a challenging activity, but it is worth it, especially if it means providing a cleaner and more sanitary environment for you and your family. However, if you don’t want to pressure wash your place on your own, you can always employ the professional services of a pressure washing company, such as Crystal Clear Shine. Before you pick an expert for your potential washing needs, ensure that your cleaning professional has an excellent reputation. You may check their website to check their services and to view their testimonials. You may contact these clients to inquire about their professionalism and the service quality. Never forget to be inquisitive in their capacity to meet deadlines related to work. Ensure that your preferred pressure washing company is licensed. Also, ensure that the cleaning professionals hired by you make use of the advanced technology to clean the exteriors of your home. Pressure washing is a very skillful task that needs a lot of expertise and experience. Wrong use of machines may be very costly for your home or building. If your pressure washing expert is not skilled enough to do this duty, you may end up with a big hole in your pocket. Cleaning is important, as it keeps your expensive investments in good condition. These work not only help you make a good impression on your visitors or clients but also increase the value of your assets like your house, office, and a fleet of your commercial vehicles. If your business has a fleet of popular vehicles such as trucks for delivery of goods or tractors; it is essential to maintain these assets. Our pressure washing professionals are experts in keeping your commercial vehicles clean and attractive. .
Apart from sidewalks, driveway washing, roof, patio, and walkway, there is another benefit pressure washing service that is in high need. This service is known as restoration and deck washing. 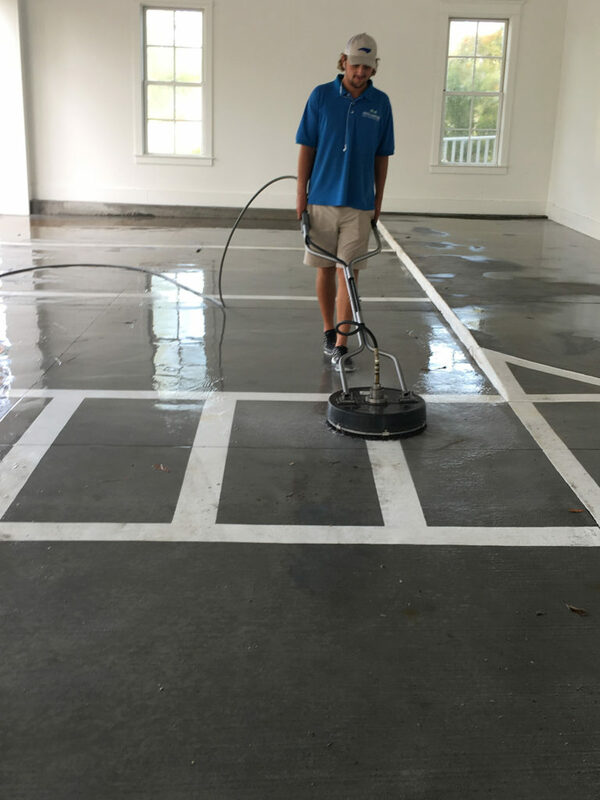 Pressure washing professionals are experienced enough to repair your floor and remove the spots or stains that may have improved over its surface. These specialists leave your deck as clean as new by re-staining and sealing it. Unique wood care oil is then applied to improve the resilience of your deck upon dirt, water, and heat. Whether it is the outside walls of your house or the roof of your office; concrete pressure cleaning is something you should not neglect. Concrete washing is essential to make your concrete roof or sidewalks look like brand-new again. Concrete is abrasive and porous material that traps the filth into its deep openings. When combined with moisture, dust can lead to the development of mold or algae on your concrete structures. Pressure washing ensures that your concrete structures and dwellings remain free from all these destructive outside intrusions. To get a free quote on residential or commercial pressure washing call Crystal Clear Shine today at (910) 758-0114.